One of the most delicious cakes out there is the Monster High Chocolate Cake. This is a delight to eat, but also to bake. If your child loves to bake, why not take the first steps with them and have them play games? 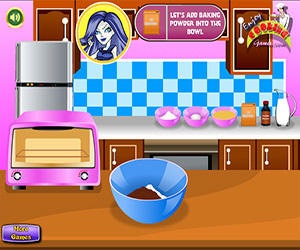 These games are designed to ignite the love of baking in children. 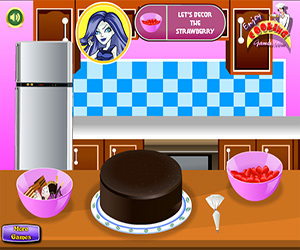 They can learn all about making a Monster High Chocolate Cake through the easy visual steps in the game. Using just the mouse, your child will have a blast cutting up the ingredients, selecting what they need and mixing it altogether in a bowl. They can then bake it, cut it up and serve it. The game takes everything into consideration, including heating up the oven to prepare it for the cake. You even have to cool the cake once all the baking is done. The baking process of course finishes with the decorating and children will have a great time with the entire process, guaranteed.